Between November 1914 and September 1918, five Royal Naval ships suffered from major internal explosions that led to catastrophic losses. • HMS Bulwark that blew up on 26th November 1914 whilst moored in the River Medway. • HM Auxiliary Ship Princess Irene that blew up on 27th May 1915 in Sheerness Harbour. 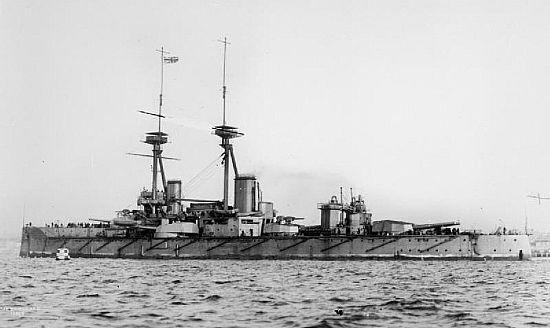 • HMS Natal that blew up on 30th December 1915 whilst at anchor in the Cromarty Firth. • HMS Vanguard that blew up on 9th July 1917 whilst at anchor in Scapa Flow. • HMS Glatton that blew up on 16th September 1918 whilst at anchor in Dover Harbour. Towards the end of 1919 a series of technical histories of the naval war was published by the Technical History Section of the Admiralty. 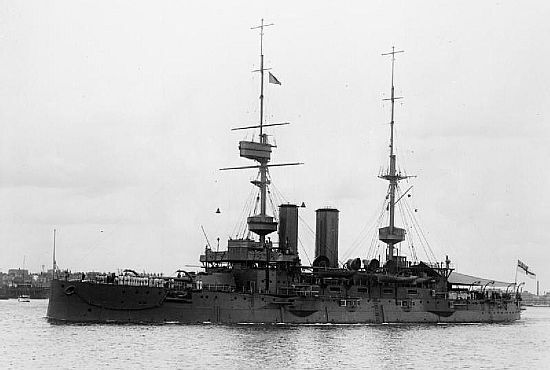 This account of three of the disasters ( HMS Bulwark, HMS Vanguard and HMS Glatton) have been summarised from this document called “The Technical History and Index , Volume2, Part 24: The Storage and Handling of Explosives in Warships (October 1919)”. The account of HM Auxiliary Ship Princess Irene has been summarised from other sources. 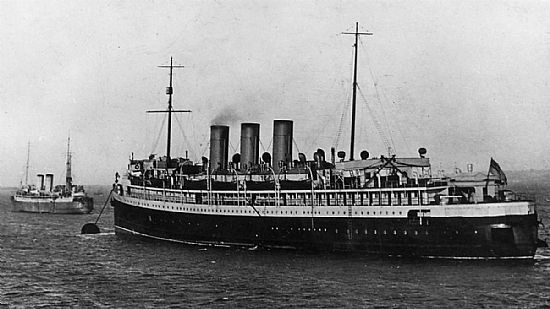 Along with her sister ship Princess Margaret, HM Auxiliary Ship Princess Irene was leased by the Admiralty on 20th January 1915 from the Canadian Pacific Railway Company for fitting out as a mine layer. On 27th May 1915 Princess Irene was being loaded with mines at Sheerness Dockyard when, at about 11.15 a.m., she blew up. She was essentially a new vessel having been launched on 20th October on the Clyde and had a crew of 225. She was modified to carry 400 sea mines to be laid in the North Sea mine fields. On the morning of 27th May she was moored in Salt Pan Reach at buoy 28 on the River Medway. Her crew and other naval personnel drafted in from Chatham were loading mines, whilst there were civilian dockyard workers on board finishing off the repairs and modifications. The mines were being transferred from the mine depot on shore to the Princess Irene by barge and were then stowed on one of two mine decks. At 11.15a.m. there was an explosion that disintegrated the ship and destroyed a small steam ship and the two barges lying alongside. 273 officers and men, along with 76 civilian workers were killed and there were only four survivors. Three of the crew members survived because they were not on the ship at the time and were on shore in the Dockyard and a severely injured stoker was found floating amongst the wreckage. An unfortunate and unexpected casualty was a 9 year old girl, Ida Barden, who was struck by a piece of metal a mile and a half away on the Isle of Grain. There were so many civilian casualties that the local Coroner opened an inquest on the following Monday on two of the recovered bodies. After he had gathered evidence of identification he adjourned the hearing until the Admiralty had completed their investigations. By the 14th June the findings of the Naval Court of inquiry were made public. Although a thorough investigation had been carried out, a conclusive answer as to why the ship blew up could not be given. External causes such as submarine attack and sabotage were ruled out and the civilian workers on board at the time had nothing to do with the accident. The most likely cause of the explosion was the possibility that it was triggered by a faulty mine primer. The priming of these mines may have been done hurriedly by personnel who had had insufficient training. At about 11.20 p.m., on 9th July 1917, HMS Vanguard, a St. Vincent Class Dreadnought, blew up at anchor in the Fleet Anchorage of Scapa Flow. There was no warning and it is estimated that 804 officers and men were killed. • The ignition of the Cordite due to an unavoidable cause. • An abnormal deterioration due to a charge having, undetected, been subject to abnormal treatment during its lifetime. • The ignition of some of the cordite due to its becoming unstable. • The act of an enemy agent, probably outside the ship. The Court of Inquiry did note that the records showed that some of the cordite had been temporarily offloaded in December 1916 (7 months before the explosion) and that it was then recorded as being beyond its use by date. It was also noted that a number of the ships boilers were still fired up and some of the watertight doors were open as the ship was in port. This may have raised the temperature that possibly caused the explosion in the cordite. The final conclusion was that a fire probably started in a 4 inch magazine, spreading to one or other of the main magazines that then exploded. • Improvements in the stability of the explosives issued to ships. Arrangements were made to remove 6000 tons of old cordite from the naval arsenal and replace this with cordite manufactured by improved methods. 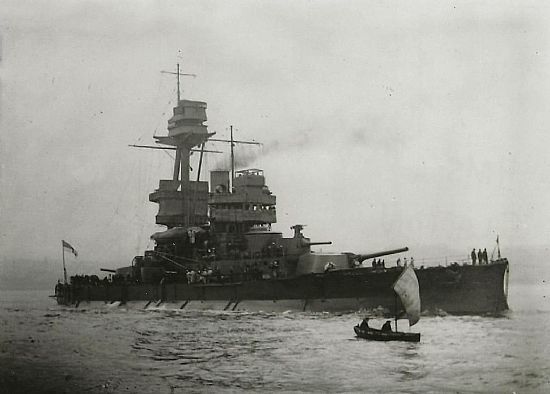 This was urgently expedited after the Vanguard but was not completed as a task until September 1918. • Improvements in storage conditions on board, including a revision of the regulations governing the care and stowage of explosives, the routine of inspection, the taking of temperatures and the magazine log. • Provision for the adequate safeguarding of all explosives on board, including improvements to the locking arrangements of magazines and their means of access, and stringent regulations relating to the supervision of access to and searching of compartments. HMS Glatton was a newly built coastal defence vessel when she blew up at anchor in Dover Harbour on September 16th 1918. The explosion was followed by an extensive and severe fire that affected the amidship part of the ship. The fire was so severe that it was impossible to get under control and since there was a danger of further explosions, especially due to the closeness of an ammunition ship, the order was given, by Vice Admiral Keyes, to torpedo the vessel at anchor. HMS Glatton had been originally ordered by the Royal Norwegian Navy and was launched in 1914. However, it was requisitioned by the Royal Navy and lay in the shipyards on the River Tyne for several years while other projects were completed and major modifications were made to her hull, superstructure and guns. Eventually HMS Glatton was commissioned on the 31st August 1918 and arrived at Dover on 11th September having been fuelled fully and was stocked with all its explosives and shells. The Court of Inquiry, held a few days later, found that since the ship was so recently stocked with new stores, fuel and ammunition there was no blame to be held for the explosion in the deterioration of the cordite. The ammunition came under especial scrutiny and it was decided that as it was properly stored, new and fully recorded there were no problems with it. Sabotage was also quickly ruled out as there was no evidence of any unauthorised entry to the ship either in Newcastle or Dover. HMS Glatton was originally built for a foreign navy, and as such it did not conform to every design standard employed by the Royal Navy. A major design difference was that the magazines and the shell rooms for the two amidship 6 inch Turrets were placed between the engine room and the after boiler room without any air spacing in between. The magazine was protected by being lined with wood, and the space of about 10 to 15 centimetres between the bulkhead and the wood lining was filled with granulated cork as an insulating material. The Court of Inquiry concluded that the explosion had occurred in the mid-ship 6 inch Magazine as the roof of “Q” Turret was partly blown off. The superstructure caught fire in a short time, doubtless because there was a quantity of paraffin stored in that area. Later there was an investigation into the reasons for the explosion, which were concentrated on the construction of the vessel. Fortunately, HMS Glatton’s sister ship, HMS Gorgon, was built to a near identical pattern and a whole series of investigations and experiments were made on her. It came to light that it had become the practice in HMS Glatton’s short life for the stokers to place ash from the boilers against the after bulkhead in a space between two pumps. This pocket was directly underneath the ash hoist and was in fact the only place in the stokehold where it was possible to store the ash to cool down before hoisting it to the deck. There was a similar arrangement in HMS Gorgon. When the wood lining of the magazine bulkhead was removed it was found that the paint on the magazine side of the bulkhead was blistered and charred. When the bulkhead was dismantled it was found that there was no granulated cork over a distance of about 2 metres and the bulk of this was in the area of the pocket used to store the hot ash. Worse, a number of old newspapers were found in this space and a hole was found in the bulkhead that was probably from a missed rivet. Experiments on shore showed that it was possible for the heat of the cooling ash could have caused the cork to char and produce a gas. This gas could have ignited and a flame would have jetted into the magazine. As it was 60 of the crew were killed with 124 seriously injured and 19 of the injured dying in hospital later.